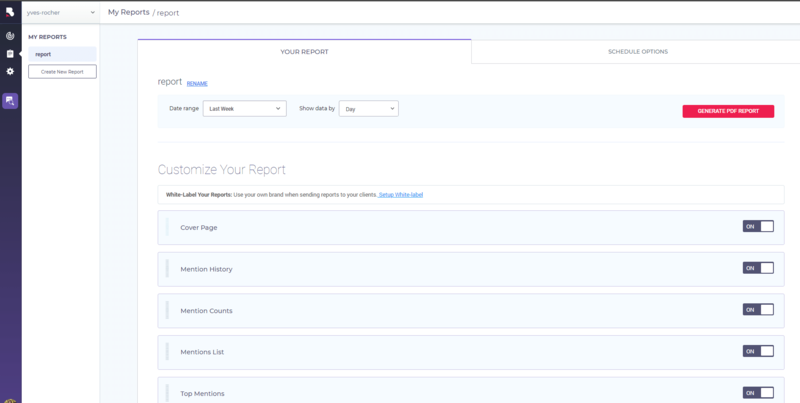 Go to Reports directly for the left side menu and generate your first Report. You have the possibility to customize it and receive what information interests you. 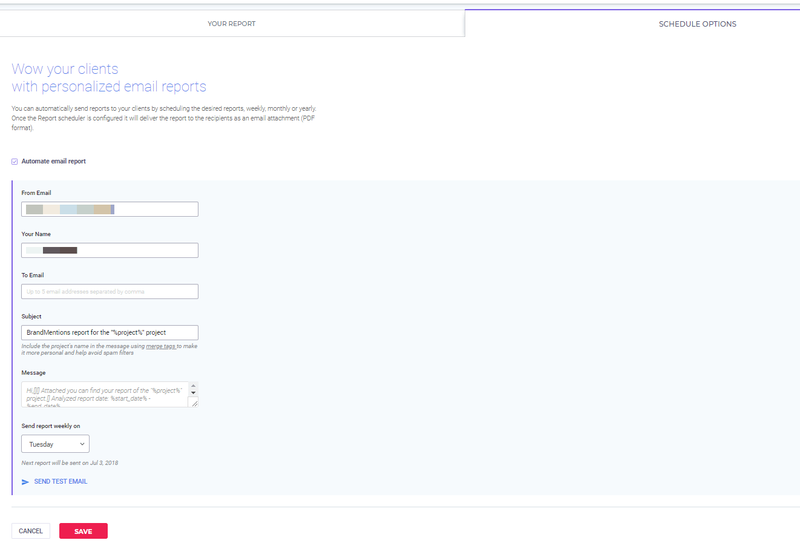 Setup White-label to use your own brand when sending reports to your clients. Change the option to OFF for the information that doesn’t interest you. After you followed all the steps your white-labeled report will be downloaded. In case you want to add Whitelabel, you will be redirected into the Whitelabel section form the Account Settings. 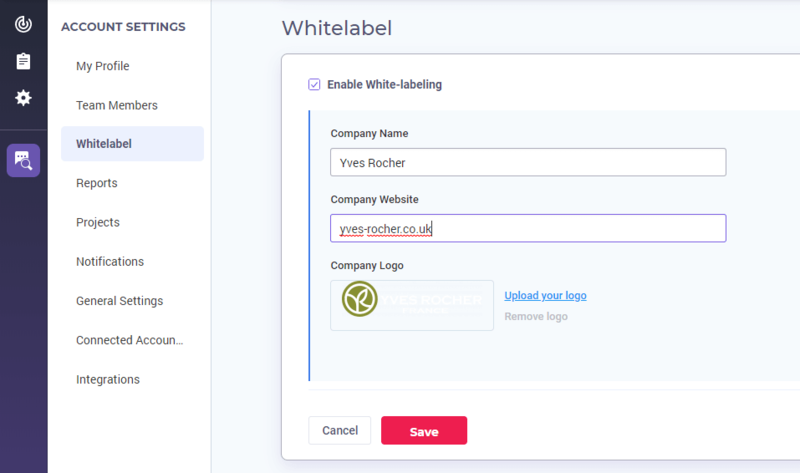 Enable the White-labeling, add your company name (that will appear on your reports), the company website and company logo. 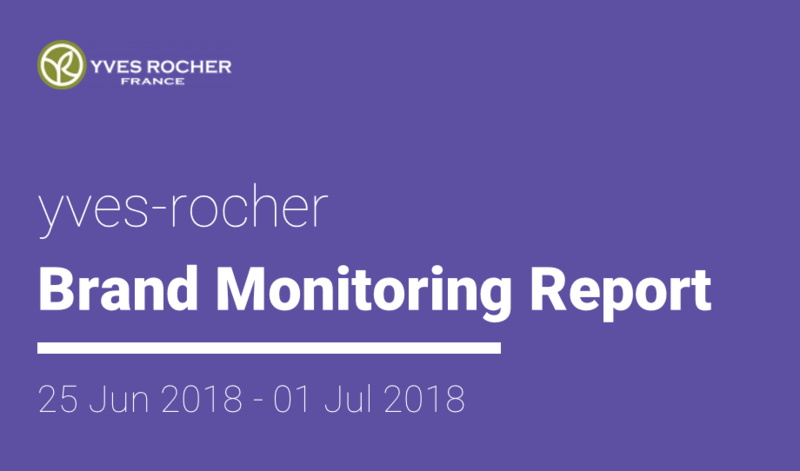 Click Save and the next time you download your report for this project you’ll have a personalized page title, just like the one represented in the screenshot above. If you are using the tool for a client, you can personalize the email reports. That means customizing the period for sending (weekly, monthly or yearly), subject name, message, just like you can see in the next screenshot.